New York - Masbia Soup Kitchen Network has announced a toll-free number for kosher-for-Passover food packages for NYC residents in need. Those in need of a kosher-for-Passover food package can call 1-855-PESACH-FOOD 9 a.m. to 5 p.m., Monday, March 31 to Friday, April 4 and Monday, April 7 to register. Callers will receive a confirmation number and distribution location. The package includes Seder necessities such as eggs, chicken, apples, walnuts, almonds, and potatoes. Packages will be available in Boro Park, Flatbush/Midwood, Rego Park and Manhattan on Thursday, April 10. Regular pantry packages and dinner service will continue as normally scheduled through April 10 at Masbia’s three locations and will resume Wednesday, April 23 after Passover. 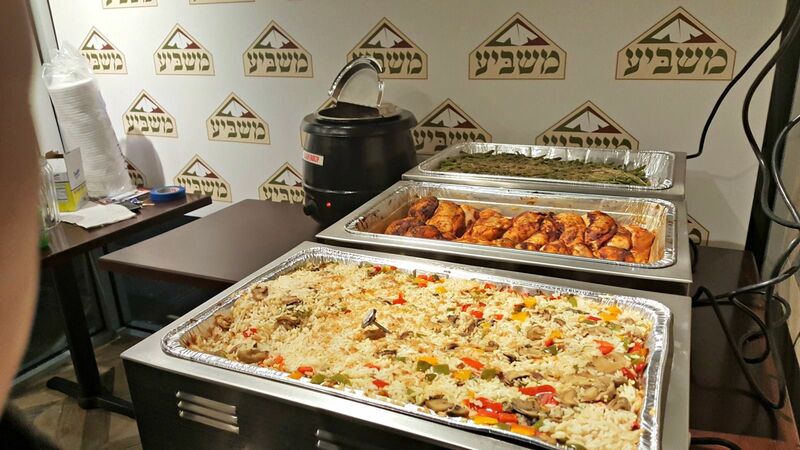 This year’s Pesach distribution will be Masbia’s biggest, supplying 2,500 families with kosher-for-Passover foods. Masbia is collaborating with Lincoln Square Synagogue, Boro Park Jewish Community Council, Ohr Natan, Orthodox Union, Pomegranate, New York Apple Association, New York Apple Sales, Midwood Development Corporation and Brooklyn Chamber of Commerce. Those interested in making a donation can visit www.masbia.org/charoset or call 718-972-4446. Masbia is a nonprofit soup kitchen network and food pantry that provides daily meals for New York City residents in need. Photo Caption: In attendance for today`s announcement: Lincoln Square Synagogue Executive Director Ben Keil, NYC Councilmembers Helen Rosenthal and Mark Levine, Lincoln Square Synagogue Rabbi Shaul Robinson, Boro Park JCC Executive Director Yerchum Silber, Masbia Chef Ruben Diaz, and Masbia Executive Director Alexander Rapaport.